Genetics, genomics and biotechnology are fast-paced and ever-changing fields with new discoveries occurring every day. 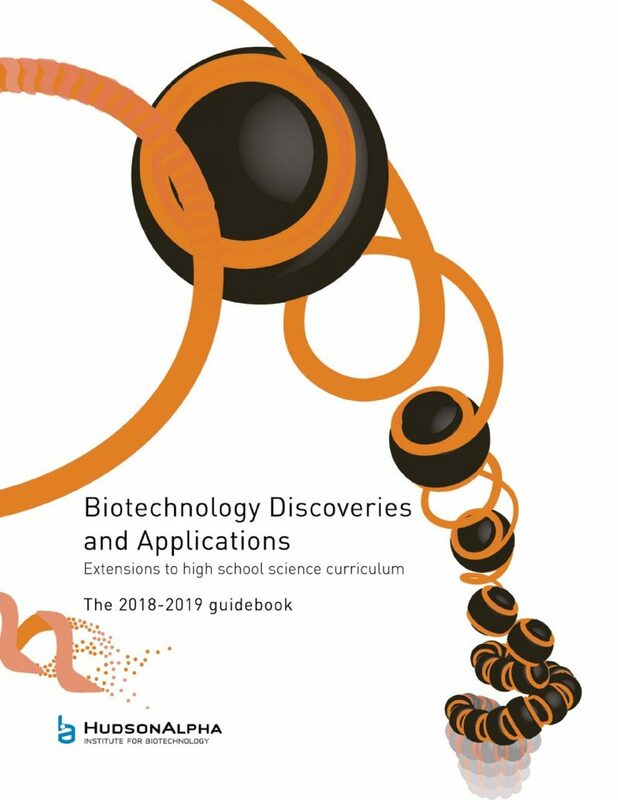 To help educators stay up to date on these discoveries and learn how to bring them into the classroom, the HudsonAlpha Education Outreach team publishes an annual Biotechnology Guidebook. This Guidebook includes articles on foundational concepts as well as descriptions of new research discoveries. All articles are linked to the Alabama Course of Study for high school biology, genetics, AP biology and multiple career and technical education courses. These can easily be integrated with similar course objectives from other states and systems. Each year the Guidebook is updated with new findings and applications, providing teachers a quick way to stay up to date and incorporate the latest research into classroom discussions.